Thinking about quitting coffee? Or giving up energy drinks or soda? 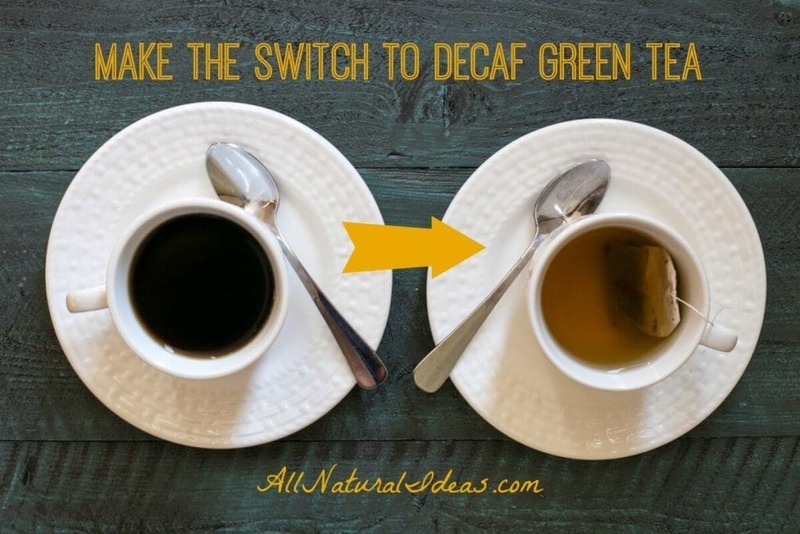 What are the caffeine free benefits of giving up coffee or other caffeinated drinks? The artificial chemicals in popular energy drinks and soda are, of course, bad for your health. But is the caffeine bad? Does it matter if the caffeine comes from soda or coffee? Let’s answer the last question, first. Caffeine found in soda and artificial energy drinks tend to come from poor-quality coffee beans. It’s highly likely that the caffeine extracted for soda and the like comes from beans that have been sprayed with pesticides. Also, the process to extract caffeine on an industrial scale may involve by some manufacturers, the use of benzene. Benzene is proven to cause cancer. So you should definitely ditch the caffeine from soda and energy drinks. 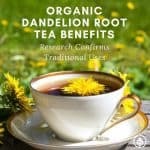 You’ll see some immediate caffeine free benefits. But what about coffee? Are there benefits of quitting coffee and giving up the caffeine… even if the coffee is organic, shade-grown, fair-trade, non-GMO? If you drink one cup of coffee a day, you may not need to go completely caffeine-free. There may actually be health benefits of very moderate caffeinated coffee consumption. Read some of the benefits of coffee here. 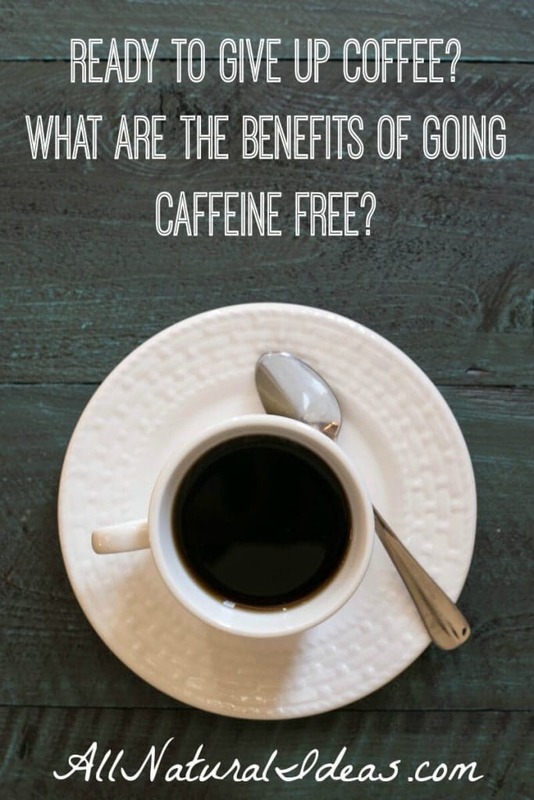 But if you’re a type A person who relies on caffeine to wake you up and keep you awake throughout the day, and fuel your evening workout, you may indeed benefit from quitting coffee and going caffeine free. Here’s why…. It’s a good thing you have stress hormones. You wouldn’t be able to run fast through an intersection to avoid being run over by a speeding car without stress hormones. Stress hormones redirect your blood flow. They shunt the flow of blood involved in digestion to the muscles so you can sprint. But when you have chronic stress your body ends up struggling to produce stress hormones. Got a stressful job? Fight traffic every day? Got a mountain of bills to pay? Chronic stress can negatively impact your hormone levels. Excess caffeine intake increases the output of cortisol in your bloodstream. Cortisol is the stress hormone released in the adrenal cortex of the adrenal glands. When cortisol levels are chronically elevated, you have trouble burning fat as effectively if your hormone levels are not optimal. 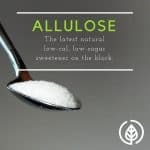 Read this for more info on the caffeine cortisol relationship. Obviously, the less stress you have, or the better you’re able to manage it, the healthier you will be. If you experience stress often, it may be beneficial to strictly limit your caffeine intake to one cup of coffee per day. If you’re female, there may be other caffeine free benefits related to hormones. Excess caffeine intake may cause estrogen dominance. Estrogen dominance is caused by an imbalance in estrogen and progesterone. Progesterone isn’t sufficient enough to counterbalance estrogen’s potentially negative effects. Estrogen dominance can lead to a laundry list of health problems, including breast cancer. 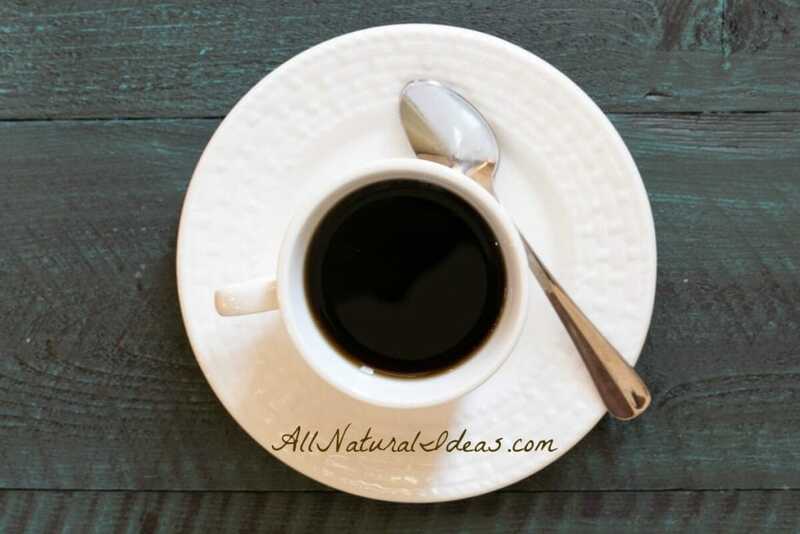 For more info on the link between coffee and estrogen, read this. Remember the pH scale from junior high chemistry? Anything below 7.0 is acidic, 7.0 is neutral, and anything above 7.0 is alkaline (aka base, basic). Black coffee measure approximately 5.0, which makes it very acidic. Does that mean if you drink black coffee, it’s going to rot your gut? Not necessarily. Our gastric acids like hydrochloric acid and pepsin measure 1.0. Our stomachs are an acidic swamp. But it’s necessary to have a low pH in the stomach in order to break down food into usable energy. There’s also individual biochemistry to account for. One person’s GI tract might tolerate coffee just fine. While another person may get a tummy ache after drinking coffee of any kind. Roasted coffee beans are naturally acidic. 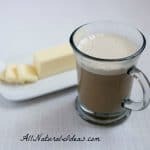 If you do need your morning cup of coffee, it might be better to add some heavy smart fats like grass-fed butter or coconut oil to neutralize the acidity. Many people don’t eat healthy. Poor nutrition leads to poor digestion. Adding fuel to the fire, in this case, black coffee, may make the problem worse. One benefit of going caffeine free, then, for someone who doesn’t always eat healthy is less indigestion. Many people in western society live stressful lives. It seems logical that doing anything to manage stress is good for health. If you’re somebody who has chronic stress, coffee might help you survive the day … but at what expense? The expense is increased stress hormones and a vicious circle just to get you to tomorrow. Keep in mind that caffeine is a drug. Quitting coffee cold-turkey may lead to withdrawal symptoms. Gradually taper your intake. You may need just 4 oz. of caffeine per day to avoid caffeine withdrawal symptoms. 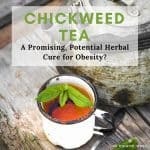 It’s a good idea to make the switch to green tea or matcha tea for a more streamlined release of caffeine. Good luck! As extensive research makes clear, caffeine is safe and can be enjoyed in moderation. With respect to energy drinks specifically, these beverages actually have far less caffeine than a similar-sized coffeehouse coffee; in fact, many have half as much. We would also add that our industry goes above and beyond labeling requirements and features caffeine content on all of our products. Using this information, consumers may make informed choices and incorporate caffeine sensibly into their diet. Good point! When used in moderation, caffeine is usually safe for most people.